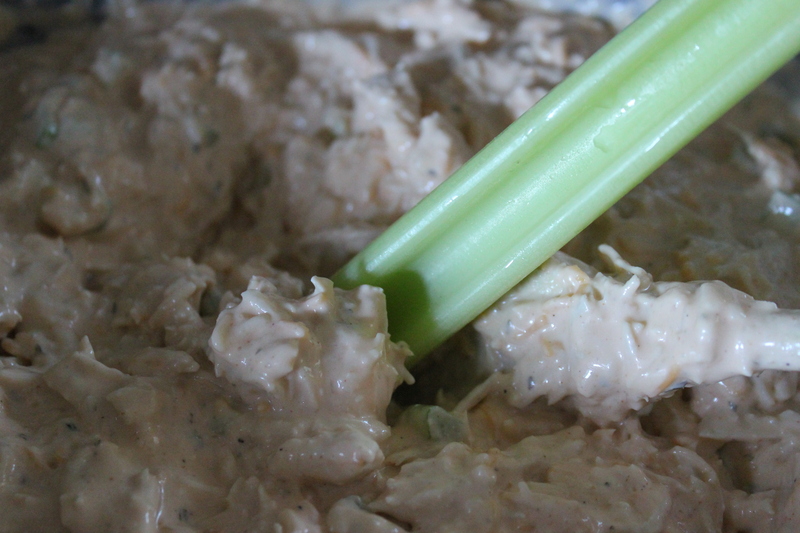 One of my all time preferred dips to make during Football Season is the buffalo Chicken dip. In all honestly this is a grand one to make for any occasion during the bitter fall and winter months. 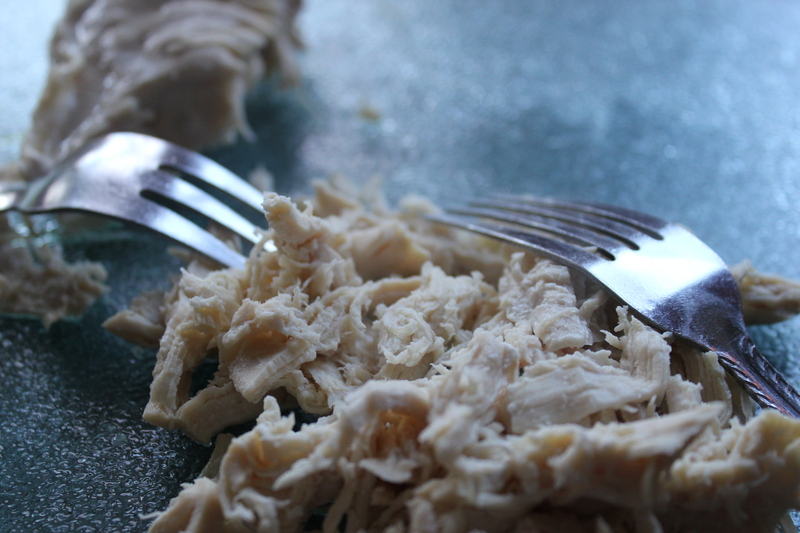 There is nothing like the spicy velvety goodness of a homemade Chicken Buffalo dip, and here is how I make mine. I make this one in a Crockpot in order to keep it warm the entire time required. This dip is great with a couple baguettes and sturdy chips. 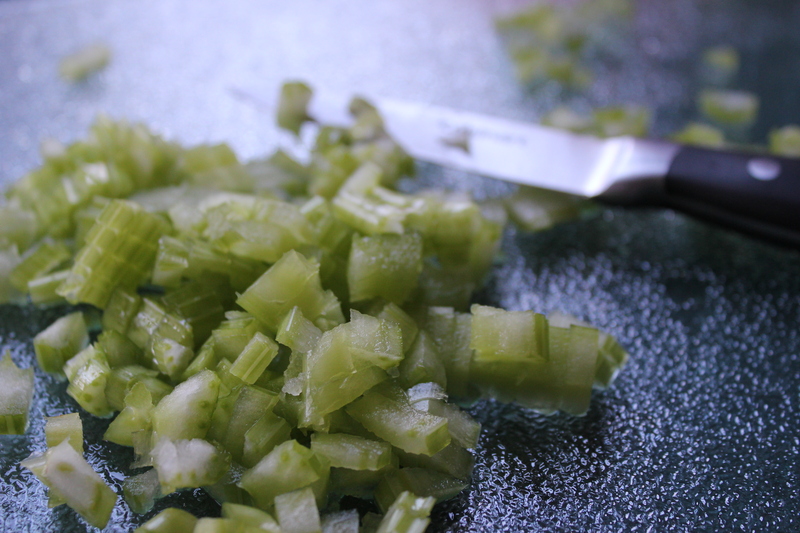 Cut the celery stick lengthwise, and then chop into small pieces. Once the chicken is cooked through, no longer pink. Remove from the water and shred with two forks. Add the chicken, Franks Red Hot Sauce, Blue cheese and Ranch Dressing and both cream cheeses. Make sure to stir until melted and well blended. At that time add 20 or more ounces of shredded Mexican cheese until it is creamy but firm. Once warm and everything is blended it is ready for everyone to dig in. Must have Franks in a real Buffalo Chicken Dip! Never tried the garlic herb cream cheese in mine, although it might add a little flavor, definitely need to cut it with a package of regular though, garlic would be a bit overpowering. I just re read your comment and you have not looked at the recipe, I did use Franks, and anyhting with hot sauce and chicken would qualify as authentic. lol Have a Blessed day!